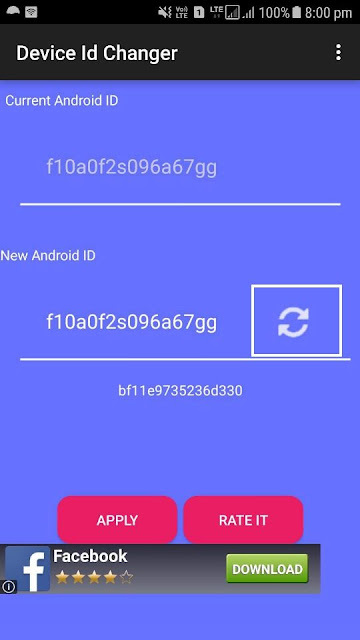 Here is the simple guide on how to Change android id without reboot your mobile, you maybe tricker who love to trick your friends or just an app by changing your android mobile’s identity. 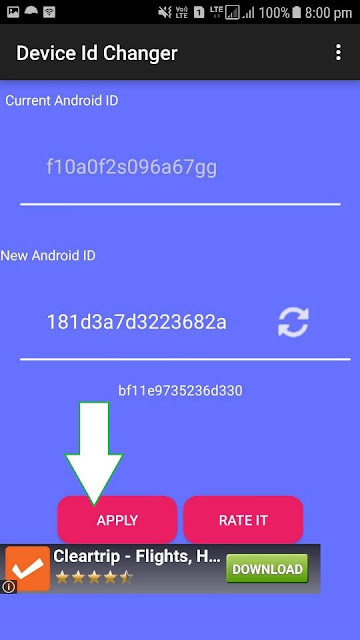 Android ID is like an alternative IMEI code which is unique for each device and used for collect user’s data for prevent spammers out of the app but, with the use of these android id changer tool you can change your device id with a single click and no reboot required. Note: This app require Root access, so this app cant be used on Non rooted devices. If you are playing some MOD games they may ban your device from play games in such cases android id changing may help you. If you change Android id of your Device it will spoof apps & make it thinks that your phone is new. Download Device id changer and Install it on your phone. Open Device id changer App and grant superuser permissions. Finally click on “Apply” button to make changes.